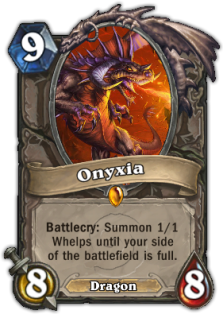 Hearthstone is the name of a much anticipated free to play online collectible card game being developed by Blizzard, and the name is genius in itself - in World of Warcraft, the hearthstone is a magical object that will instantly transport you home, no matter how far away you've traveled. Summoning a Murloc and hearing it go "Mrrraggglhlhghghlgh!" instantly took me back to my memories of leveling my first Night Elf in Darkshore, 8 years ago. Let me get this out of the way first: if Hearthstone succeeds, it will actually be on the basis of its rich sound and art design - the act of playing cards and attacking with them rewards the player with very satisfying sounds and animations. I can't help but contrast it to MTG online, which is a relatively spartan experience. 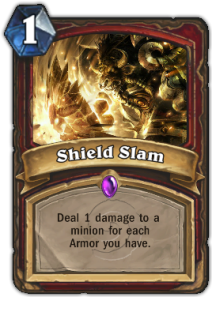 In Hearthstone, your cards actually leap up and smack the opponent in the face, with more visual effect and force representing higher damage (and the crowd, presumably around your table, going "oooh!" 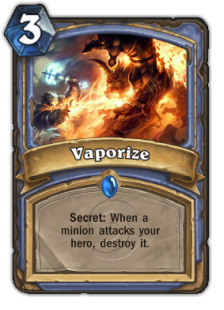 if you get a particularly brutal hit), fireballs and arcane missiles fly through the air, minion cards all have different dialogues for being summoned, attacking and dying, and it's a visual and aural treat to see it all happen at once - there is such a sense of accomplishment in giving all the orders and letting them animate themselves. Forget the game design for a minute: the mechanical act of playing the game is simply joyful, and it sounds counter-intuitive but even if the game design itself was somehow lacking it will still achieve a measure of success. Hearthstone is an online card game that drew most of its inspiration from MTG, but with a much more streamlined and simplified rule-set. You pick a hero and duel another player by summoning minions and unleashing spells at each other. While the rules differ slightly, all the common themes of card game mechanics come into play - aggro, control, removal, card advantage, tempo, etc. MTG players will feel right at home. Cinematic trailer here. Upon completing the tutorial and playing some games with the practice AI, you are awarded a full set of basic cards for all 9 classes (corresponding to the 9 classes in WoW). Further cards can be obtained through opening packs or playing in the arena, for a gold cost - you gain gold by playing games and completing daily quests. There are two types of games - you can play Constructed, where you build a deck from the cards you've collected and challenge other players of similar ranking, and there is Arena play, where you build a deck from a completely randomized set of cards (including ones you haven't obtained yet), and then challenge others in an elimination series that only ends once you've either lost 3 matches or won 9. Arena play requires a gold entry fee, but will reward you with progressively greater prizes the more matches you win. Both these modes feed off each other: you will play some Constructed to earn gold, which you can elect to spend on the Arena entry fee which then rewards you with more cards that you can use in Constructed. You can spend money to buy in-game gold to accelerate your acquisition of cards. But thankfully many of the basic cards are extremely powerful anyway: there are some basic-only decks which players have taken to the highest bracket of play. Also, there is no option to trade or buy and sell cards - after Blizzard's disastrous foray into real money trading in Diablo 3, they have wisely decided to let each player create their own journey of card acquisition. 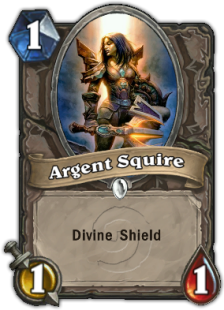 Extra cards are "disenchanted" and turned into arcane dust which can be used to craft cards you don't own. To put the card acquisition speed into perspective: if you do the daily quest every day, roughly taking half an hour on average, you gain about 40-50 gold. A pack of 5 cards costs 100 gold or $1.50. The game is still in closed beta but the hype surrounding it has been feverish. Closed beta keys are being doled out by Blizzard for testing but they're not coming fast enough - fans have been reselling keys illegally online for $50 each. As this is a game design blog I would like to compare Hearthstone with the giant in CCGs - Magic the Gathering. 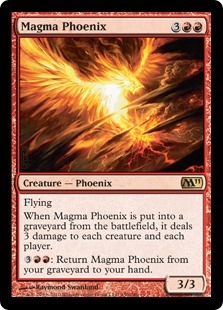 MTG is basically the WoW of the CCG world - many companies have attempted to overthrow them over the last decade, but none have come even remotely close. Their game design and artwork are completely unmatched. But by definition no one can imagine the king being unseated until it actually happens. A similar situation happened with DOTA and LOL - a former DOTA developer created a more casual friendly game, and now LOL has many more players than DOTA2. 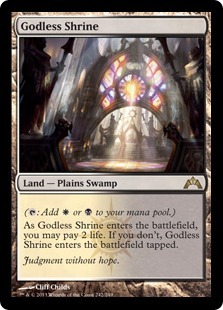 MTG had a daunting task ahead of them - they needed to create an immersive world that draws the player in, using nothing but art and the flavour text on their cards. It's safe to say they've done an excellent job - they're set a nearly impossibly high bar for other CCG makers to aspire to. Hearthstone on the other hand, doesn't have to. The lore of the world and characters are well known to the target audience (former Warcraft and WoW players). The sound design and art design are all reused for nostalgia reasons. 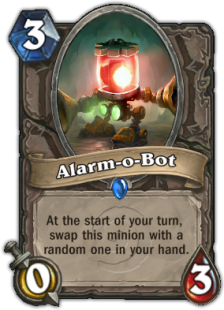 This allows them to skip the flavour text: it also allows them to skip a lot of explanation of card mechanics (since it's online only, the computer can handle the complicated interactions for you). Overall, this provides a much cleaner, simpler card design - much more ideal for online play since you can actually read what each card does without zooming in. 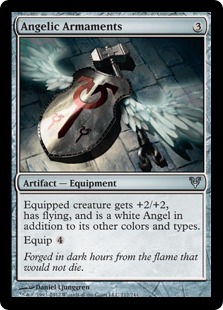 In MTG, you need to play land cards (one per turn) and tap them for mana. 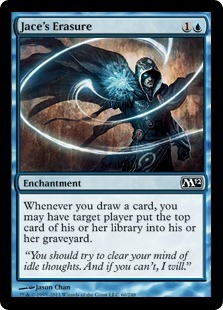 It's possible to draw too many (or too few) lands in your opening hand, making this a complicating variable in deciding whether to mulligan. The second player to go gets compensated by having an extra card. 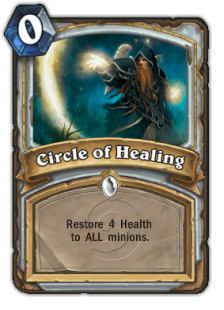 In Hearthstone, you have a linear mana ramp - you automatically get one mana crystal a turn which you can drain for mana. 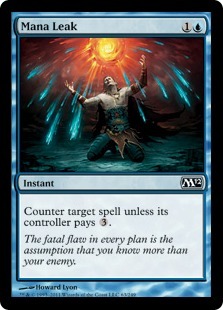 This means your deck of 30 cards are all spells - compared to MTG's typical composition of about 35 spells and 25 lands. Your starting hand size is 3 or 4, compared to MTG's 7 or 8. 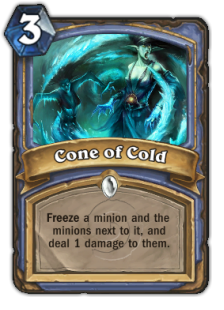 The second player to go not only gets an extra card like in MTG, but also gets a single use spell that gives him one mana. Also, both players get to mulligan as many individual cards they like out of the starting hand in the hopes of drawing a more favourable starting hand - this makes it more viable to run less early game drops, because you have a cost-free way to improve your chances at getting them. Most critically, this helps the late game go smoother, because you're always drawing answers from your deck, rather than top-decking a useless land card. In Hearthstone, it's the opposite: the attacker gets to choose what he wants to attack. Things are a lot simpler - there's nothing to do when the enemy is running his turn, so you can sit back and relax. There are no instant speed abilities to run when it's the opponent's turn, and thus there's also no spell stack. This clear delineation of active / passive turn allows the game to resolve very quickly - if you know what you're doing, you can give all the orders in a few seconds and then pass the turn back to the opponent. The downside, of course, is that this removes a lot of player interaction and strategic depth from the game. 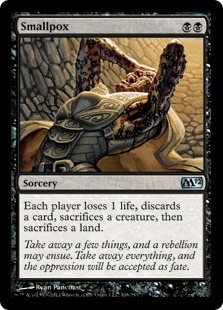 In MTG, damage is wiped at the end of every turn - if a creature didn't take lethal damage, it gets healed fully in the end step. This is because the mechanics of tracking damage counters across multiple creatures would be too difficult. In Hearthstone, damage is persistent, so it's possible to slowly ping a large creature to death across several turns. Having the computer calculate and keep track of things makes mechanics such as random damage or copying cards easier to implement. 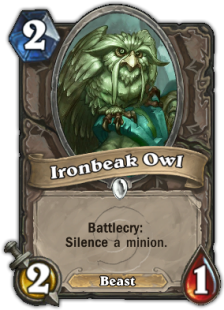 I like the new streamlined design of Hearthstone compared to MTG. The games play out a lot quicker. In all the areas that matter, I think the loss of strategy and depth has been outweighed by the gains in simplicity and convenience. Their version of drafting - Arena - doesn't have anywhere near the depth of strategy that MTG drafting does, but has the incredible convenience of letting the player build their deck and play their games out any time they want - the matchmaking system simply matches players with the same number of wins / losses (if you've gone 1-2 so far in the Arena, you'll probably get matched up with an opponent who also went 1-2). You could play one 10 minute game every two days if you wanted to, while in MTG you needed to commit a solid 3-4 hours to play a draft. The ranking system in Constructed is also a great way to separate the player tiers - although this game is "pay to win" in some sense - some Legendary cards are particularly strong - it's also made irrelevant by the matchmaking system. 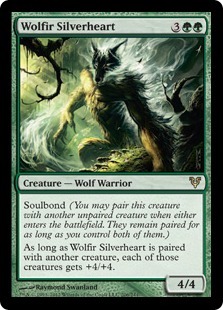 If you decide to play a really basic deck with a low power level, you can have a completely good time playing in Bronze or Silver. In fact, some would argue it's an even better play experience there, as you will see a much larger diversity of classes and deck types. In short, paying money for Constructed cards is completely optional: if you decide not to, it's unlikely you'll be matched against opponents who did anyway. There's of course some ongoing problems with the game, but I don't think it's anything unusual for something that's just getting started. The card pool is still really shallow - only 400 cards total - thus limiting the possible strategies for Arena and Constructed, but nothing that can't be fixed with the ongoing release of new card sets. Class balance and power level is an ever contentious issue. Still, even in its current form in closed beta I'm having a great time playing it and I think it's definitely already ready for release - having a game a little rough around the edges adds a little charm to it in my opinion.